We spend quite a bit of time on planes. I’m far from being a germaphobe but there is something about the tray table that just irks me. Turns out, I’m not off base because a host of articles (like this one from CNN Travel) tout the dirtiest places on the airplane and the tray table always comes in near the top. With three littles always touching the tray tables I figured there must be a way to let them use this valuable play space without worrying about the sticky stuff left from the passenger before. Enter the TRAYblecloth. The TRAYblecloth is a tray table cover packed with extras. We took the kids version on a recent flight and will likely never go on an airplane without it again. 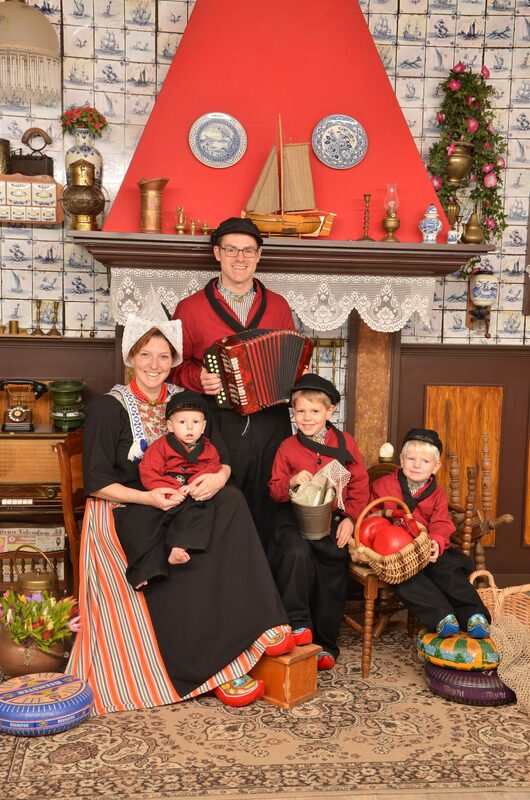 When we boarded the flight I got the kids settled and started their iPads, then I installed the TRAYblecloth. It slips over the tray table and hooks with a Velcro closure. It is super simple to install. I clicked the table up and unpacked a few items the Big Little might want (and my phone) into the pockets. The storage pockets are so handy and they keep things organized. On a long flight I can spend a good majority of the flight retrieving stuff for the kids. The pockets let me unpack everything once and have them accessible for the whole flight. The Big Little loves to keep his work-space neat, so this system works really well for him. Once we were at cruising altitude the Big Little put his tray table down and got to work. 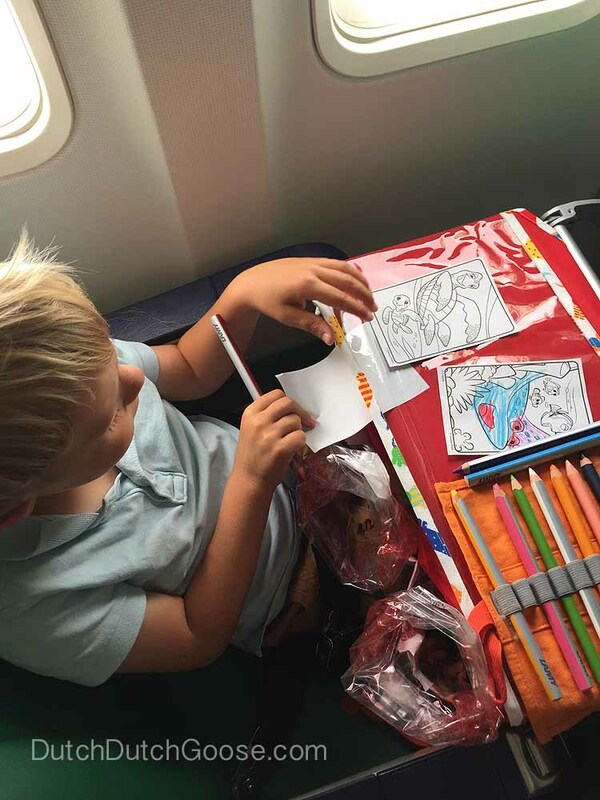 He was also able to just use the tray table like normal to color his little coloring sheets, which he then handed out to the flight attendants. I didn’t cringe when he put his snacks out on the tray table, since I knew the TRAYblecloth had been cleaned prior to the flight. I was also delighted to know we wouldn’t be adding to the mess. Then he discovered that he could slip things under the plastic sheeting and use the dry erase markers to do a whole bunch of things. We had fun coloring the sheets with the dry erase markers and then pulled them out to see them without the outlines. I also came prepared with some fun printables printed on card stock. I love this printable Airplane Activity Book from Fun with Mama. The I Spy Travel Game from Teepee Girl was a huge hit. Since we are working on writing with the Big Little I also had these airplane part freebies that the kids loved to trace and doodle on. The TRAYblecloth was certainly a winner for us. It kept things clean and organized while enhancing the fun – which is exactly how I like it. They make adult versions as well, although the bright colors of the kids versions make it easy to spot and less likely that you’ll leave it behind. The TRAYblecloth can be purchased on Amazon or directly through the Love To Travel Products webpage. I received a TRAYblecloth free in exchange for this review. As always, all opinions are my own. This post contains affiliate links. If you purchase something through a link I receive a small profit at no cost to you.